New comic starting next week! Hey everyone! Exciting news! 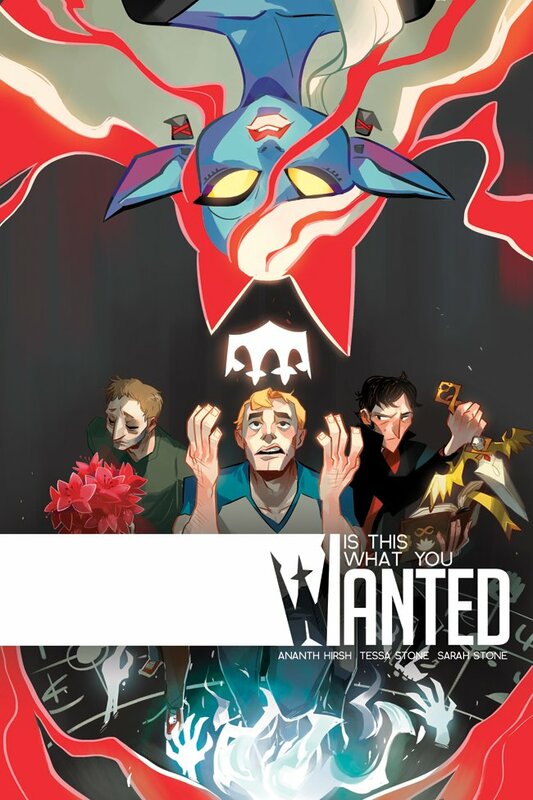 Beginning next week we'll be running the first chapter of IS THIS WHAT YOU WANTED, a comic I've been collaborating on with Tessa Stone and Sarah Stone! I've worked with Tess previously on BUZZ!, a graphic novel about full-contact spelling bees (available through Oni Press). Tessa currently does Not Drunk Enough, and Sarah Stone has worked on a huge range of projects, including Transformers: Windblade! We'll be running the first chapter on Johnny Wander, at which point the comic will migrate to its own website. The first four pages will run on Tuesday, and then we'll post a comic per update like normal.